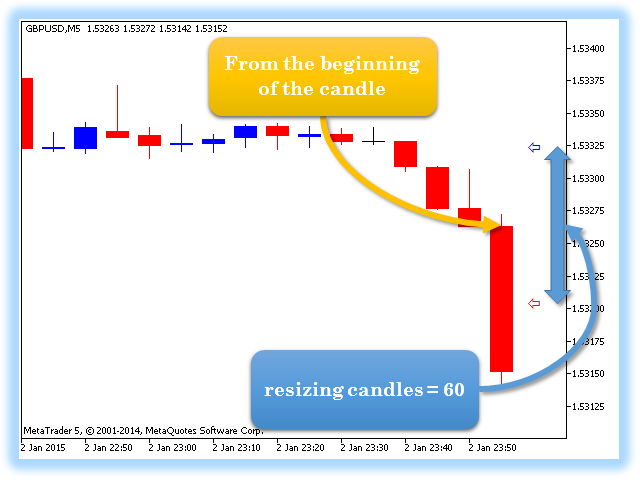 The first method: the size of the candlestick is measured from the beginning of the candlestick (from the OPEN price). 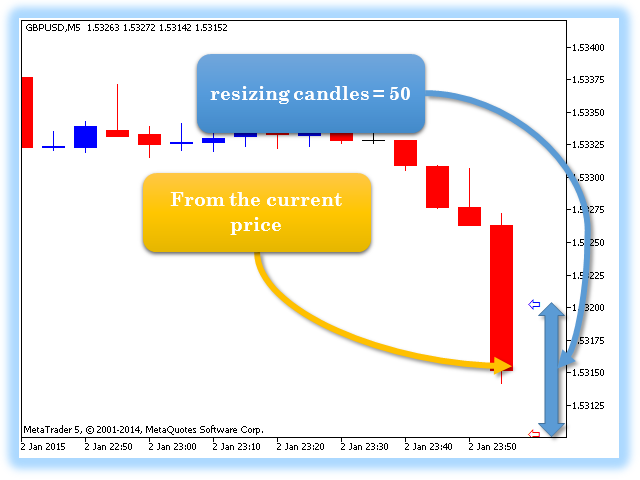 The second method: the size of the candlestick is measured from current price. sound — a sound file from the folder: "...\MetaTrader 5\Sounds\"
alerts quantity (only for "beginning of the candle") — number of repeated sound notifications. This parameter is applicable only when measuring the candlestick size from the beginning of the candlestick. Two pointers are used for visual analysis of the candlestick size change: border arrows for resizing candles — candlestick size change threshold. Added two settings: sending Email and Push notifications.